Paperback available at Amazon, Barnes and Noble, Indie Bound, Indigo, and other local and online stores. Cooking for the Specific Carbohydrate Diet is a collection of recipes and tips that follow the guidelines for a diet developed by Elaine Gotschall with the help of Dr. Sydney Haas. The Specific Carbohydrate Diet (SCD) was originally formulated for children and adults with IBD (Inflammatory Bowel Disease), and can be beneficial for anyone seeking digestive health. 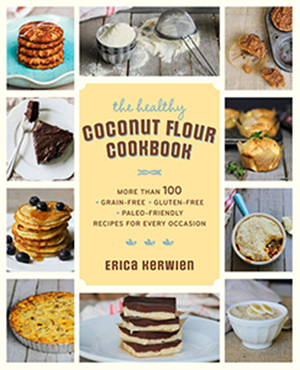 As with any book, Cooking for the Specific Carbohydrate Diet is a snapshot in time. I continue to learn and grow since writing this book so I’ll keep you up to date on any corrections or additions to the book. As of March 24, 2014, here are corrections or additions to the first and second printing. Page 4 & 5: Elaine and some SCD followers recommend avoiding canned vegetables and fruit. Some say there are safe brands that don’t contain additives. To be sure a canned or packaged food is SCD safe, check with the manufacturer. Page 62, step 4 should read: Add the broth, honey, and beans and blend well. Bring to a boil and then reduce the heat, loosely cover and simmer for about 1 ½ to 2 hours, or until the beans are tender. Add the red pepper about 30 minutes or so before the soup is finished cooking. Question: is this also CORN free as well as grain-free? thanks!! Hi — thank you for your blog. Quick question — are there egg free recipes as well? I’m allergic to eggs and have had a hard time finding egg free recipes that are SCD compliant. Thank you! Yes, there are. On the right side of the site, go down to By recipe and click egg-free.